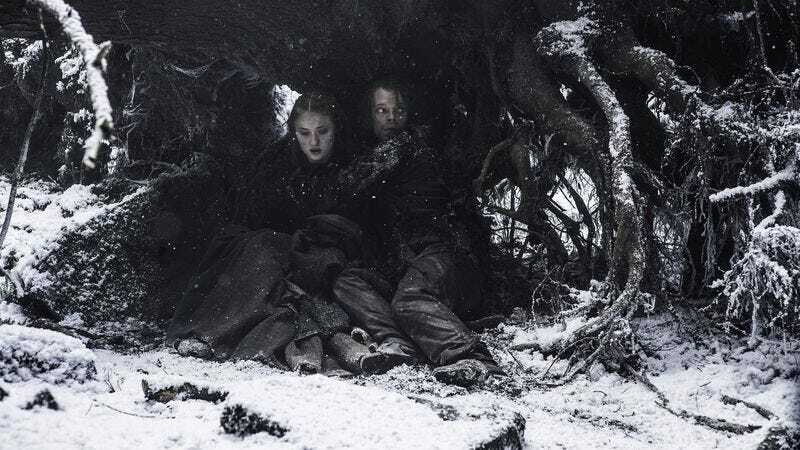 HBO is insisting it’s not actually going after a 13-year-old girl for using Game Of Thrones’ calling card ”winter is coming” in a piece of online art. The story of the big bad cable network made the rounds thanks to reports in publications like The Daily Mail that HBO turned scary and litigious on Felicity Wilcox after she submitted a piece of artwork using the phrase to a contest on the site RedBubble. Indeed, it appears that Wilcox did receive an email from RedBubble saying the content was removed due to “past complaints from Home Box Office, Inc.” But according to Entertainment Weekly, HBO says it meant no malice. A statement to EW reads: “We love when fans are creative in their support of our programs. These works live online in many incarnations and in the past we have celebrated them by drawing attention to them. Many for-profit websites that sell products, such as Redbubble, take steps to avoid infringements as part of their standard operating procedure. To suggest a particular individual was targeted, or that HBO threatened legal action against her, is simply untrue.” So go forth and make fan art, HBO is totally cool with that. Just don’t be surprised if other companies are afraid of retaliation.